Ignoring news of the "Ether Robber" who has been plaguing the city, Courtney and her best friend, Nancy, hope to pass their senior figure skating test before starting college in the fall. But a suspicious accident and a robbery interrupt their plans. When Courtney begins to investigate, someone at the spooky old rink tries to stop her--permanently. Kathleen Culligan Techler's family always enjoyed skating on the lake, just for fun. But a daughter's figure skating lessons opened a whole new world of tests, competitions, and costumes. It also involved hours of sitting in rinks, knitting, watching skaters go 'round and 'round, and developing ideas for new stories. 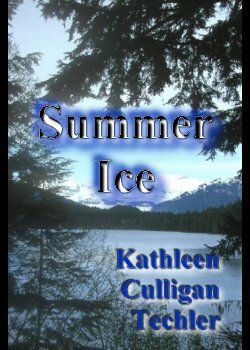 Summer Ice is about an imaginary rink, where the familiar surroundings suddenly become ominous.